Following on from the excitement of the 31 starts for Maynia, I completed 2 Just Nan smalls this month. I am hoping to do some scrapbooking this weekend and get some of the older ones mounted and fully finished. We shall see! 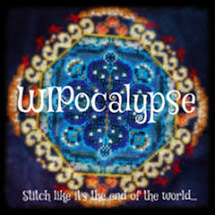 Finally, there will be a Summer Blog Hop this year. I will be returning to the Postcard theme. 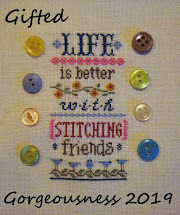 Each person emails me a photo of something they have stitched which is suitable as a postcard to a fellow stitcher along with a short message of the kind you write on a postcard. I will forward the photo to another participant who shows it on their blog. The photo can be anything Summer themed, beach themed, holiday themed, you get the idea! It can be a new piece or something from your archives. The Hop will run over the whole of the Summer with a few cards going out each week. Final deadline will be the end of August, just in time for Back to School! If you'd like to take part then leave a comment or send me an email. Your smalls are so cute. I love the butterfly one and the wreath! Block six is so cute! :) Butterfly Summer is so pretty. Love all of your stitches Jo. I especially like how you added the butterfly charm and I think the wreath is so pretty. All are very pretty, but I especially love the honeysuckle rose piece. I love that Honeysuckle Rose. 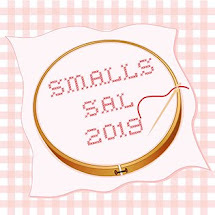 You have lots of lovely "smalls". What great stitching , your Just Nan project,s are so pretty love the butterfly one. Yes I think I have time to join your fun Hop. Congrats on the cute finishes and start Jo. Your butterfly fits perfectly on Dragonfly and suits it so well. Great choice. Another great check in. Beautiful progress. The butterfly charm works perfect on that piece. The butterfly piece is so cute. How will you finish it? 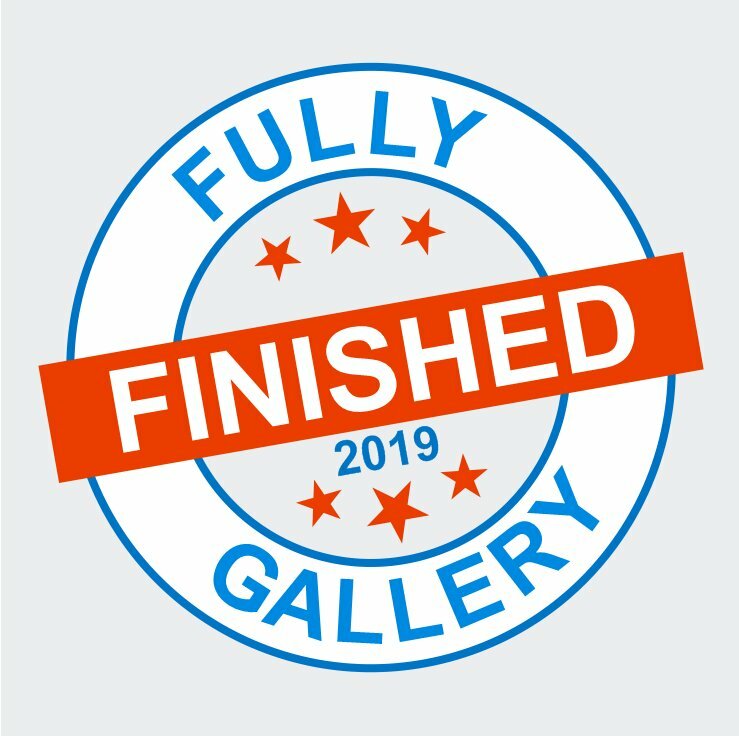 Oh, I do love your two small finishes this month! Great choice for a summer month. So beautiful and thank you for explaining and the solution about the problem with not receiving email when someone left a comment. Hooray for JN finishes, and the 6 Geese block(?) is adorable! 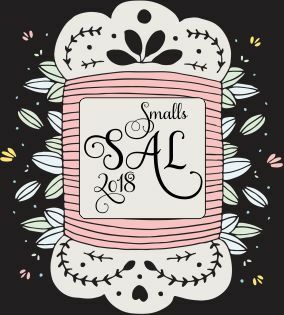 All of your smalls look so dainty and delicate, so lovely!